A world away from the holiday islands of Tenerife, Gran Canaria, Lanzarote and Fuerteventura, La Gomera is found in the western half of the archipelago, just off the south western coast of Tenerife. The second smallest island in the Canaries, La Gomera is less buzzing night hotspots, exciting water parks and fun-filled excursions and more nature hikes, outdoor campsites and quaint Canarian villages. Although La Gomera is volcanic, like all the other Canary Islands, a lot of the landscape is covered by lush forests, complete with sky-scraping trees and intriguing local wildlife. The Garajonay National Park in the raised centre of the island and is where most of the forest is found, often surrounded by a sea of cloud which gives the park a mystical, magical feel. Valley Gran Rey is the main tourist area in La Gomera and a far cry from the likes of Playa de Las Americas and Maspalomas, this village is comprised of a number of small Canarian hamlets linked by various winding roads. The main attraction of Valley Gran Rey is certainly the beaches which are known for their pure black sands and crystal-clear waters. 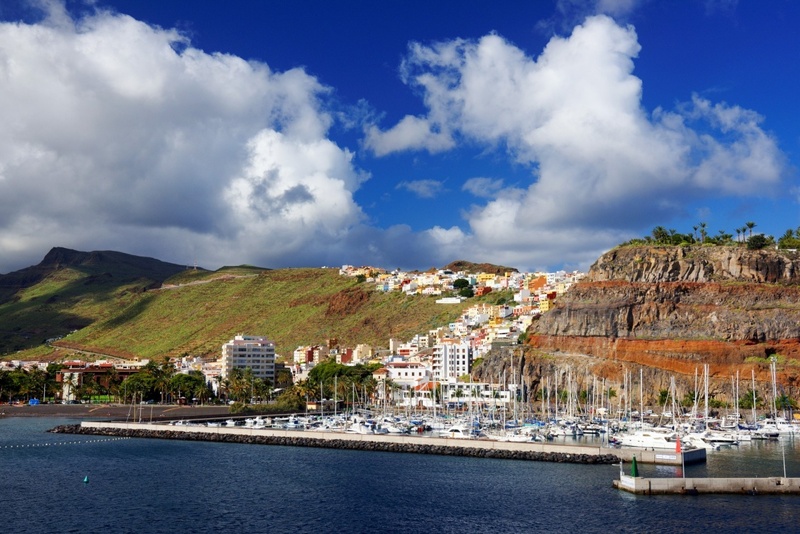 San Sebastián is the capital of La Gomera and is where most of the action takes place. The village has a fascinating history which can be explored through the various historic sites and museums peppered throughout the village. The only golf course on the island is located within San Sebestián, as is a great choice of traditional bars, local Canarian restaurants and a variety of accommodation ranging from quaint guest houses to lavish hotels. Foodies are sure to be in their element in La Gomera. Since the island doesn’t need to focus on catering for tourists, most of the food and drink products you’ll find in the supermarkets and restaurants of the island are actually produced within La Gomera. Many of the owners of these establishments are happy to open their doors to the public for tours, so whether you want to enjoy a wine tasting at a vineyard, observe the process of honey making or sample some local goat cheese, you won’t be disappointed in La Gomera. Not suitable for those in search of loads of tourist attractions and a hot nightlife scene, La Gomera is perfect for travellers looking for an authentic Canarian experience, with plenty of hiking opportunities to discover, beautiful panoramas to soak up and traditional villages to explore.